Police vehicles are stolen more often than you might realize. On a regular basis, officers leave their vehicles running unattended while chasing down suspects or keeping equipment like lighting, communications, and temperature controls operating while they turn their attention to the scene. 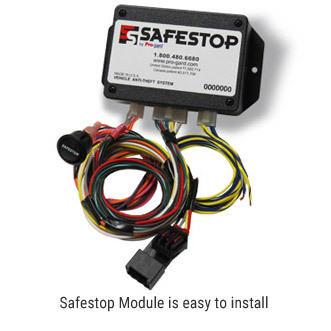 The Safestop Vehicle Anti-theft system gives your officers the peace of mind they need to leave their vehicle running unattended, without the possibility of theft, simply by removing the ignition key. 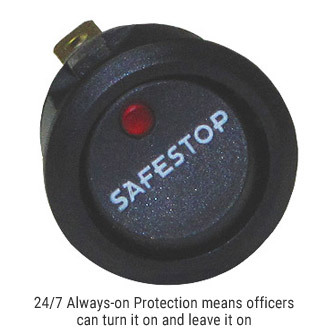 24/7 Always-on Protection – The low amp draw of the system means that the device can be turned on and left on indefinitely. This means they don’t have to remember to turn on the theft protection in the heat of the moment with the situation on their mind. 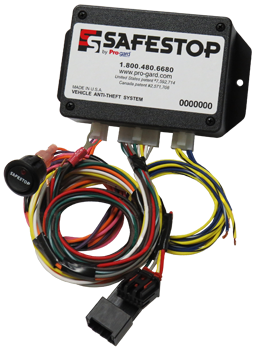 The KEY is the key – Once the system is turned on, the theft protection is immediately activated whenever the key is removed from the ignition, no buttons additional buttons to push. After removal of the key, the system cannot be deactivated even if the system is turned off. 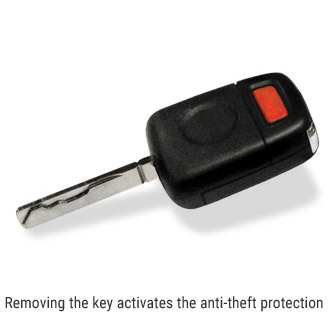 Anti-theft Protection – Once activated, while the key is out of the ignition, any attempt to put the vehicle into gear will cause the engine to shut off. Brake Pedal Override – Once activated, depressing the brake pedal will automatically kill the engine and other functions that rely on ignition for power. 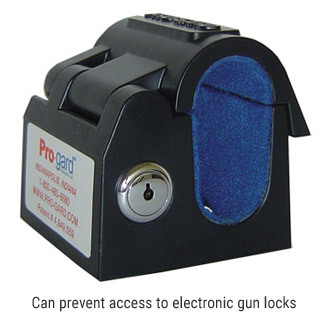 Trunk Lock and Gun Lock Secure – These optional features can be set up to provide additional theft protection for the officer’s weapons and gear. 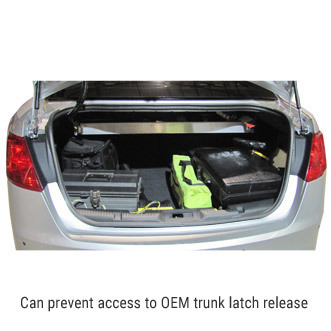 When the system is activated, anytime the key is removed from the ignition, access to electronic gun racks and the OEM trunk latch release are locked, limiting push button access.